Hello everyone! A small, but cool post is here for you today! This week is quiiiiiiite exciting, if you follow my instagram page, you might have noticed that something quite important is dropping later this week. I am absolutely buzzed, and I am very happy I get to share it with you all very soon! I actually wanted to thank you for your continous support, by giving you the chance to win a little something something. 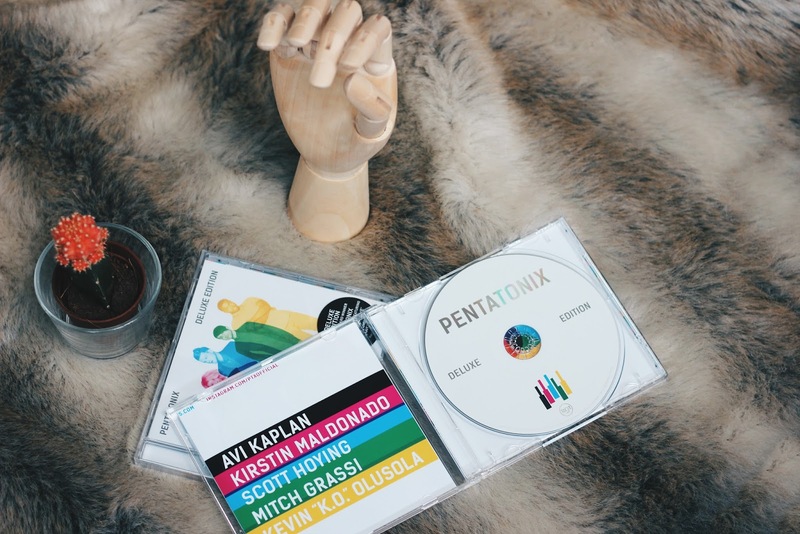 If you know me, you might know that I'm quite a big Pentatonix fan, and I was very hyped when their new album got released a couple of weeks ago. 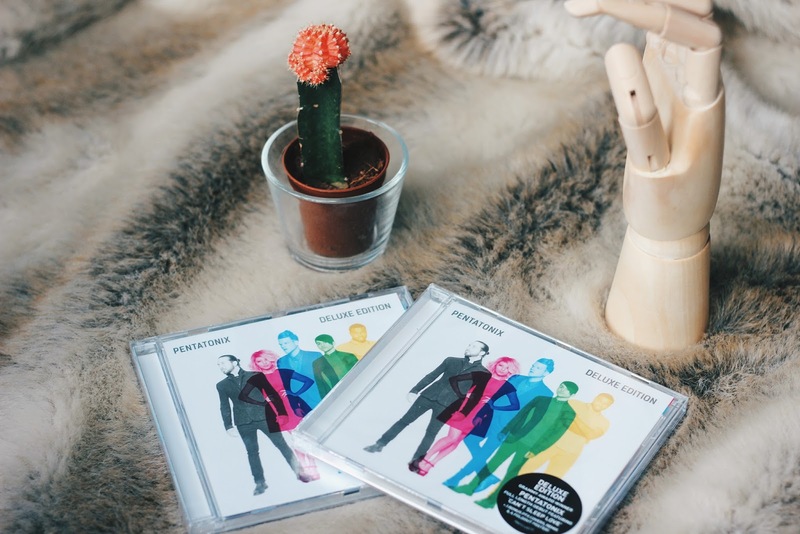 Pentatonix is an American acapella group, and up to now, they were mostly known for their music evolutions or covers, but this spanking new album consists of almost all original songs! Sony Music Belgium and Walkie Talkie PR were so kind as to send me not one, but THREE copies of this masterpiece, and thus, I am giving two of them away today! I'll tell you, their music is absolutely fabulous, the vocals are mindblowing, and the arrangements are out of this world. Their original songs rock, and if you like their covers, this Deluxe edition of the album features no less than three covers, with hits like What Do You Mean by the Biebz, or Lean On by Major Lazor. 17 stunning tracks, hours of good music, days of singing along! Now, what do you have to do to enter this giveaway? Well, since I'm a big fan of social media, you can win one CD on my Facebook page, and one on my instagram page! Of course, you can enter on both pages to double your chances! On Facebook: Simply LIKE this picture! On instagram: FOLLOW my account, COMMENT on this picture, and tag ONE FRIEND! You can also tell me why you would like to win, if you'd like to! That's all folks, it's as easy as that! Thank you all for your support once again, and I hope to make two of you very happy with some happy tunes! Outlined by reputable scientists, performing exercises as well as exhausting muscle tissue utilizing lighter in weight loads can be as efficient since training heavier loads. The idea powering that is Pro Muscle Fit that will if you tire out muscle tissue to the issue regarding muscles disappointment, muscle tissue are going to be urged growing far more. Ergo, ones aim as. Hallo Joppe, ik heb zonet je hele blog gelezen! Ik had van je gelezen in The Gay Issue en wilde wel eens weten wat je allemaal schrijft over 'fashion'. Ik vind het zeer leuk om te lezen en ik vind de dingen die je draagt zeer mooi! Jij staat werkelijk met alles wat je laat zien! Ik ga je blijven volgen want zo kan ik mss ook wel eens iets opvissen wat ik zelf wil dragen. Ik ga zeker een keertje meer naar Zara want blijkbaar kan je daar wel heel toffe dingen vinden.